WORLD-CLASS CUSTOMER SERVICE- Your satisfaction is 100% GUARANTEED. 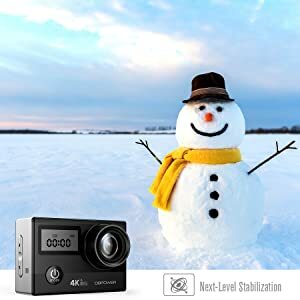 This action camera is covered by 24-hour 7-day after-sales service without any additional charge to promote you a hassle-free purchase experience for a whole year. We promise you’ll be more than thrilled, so click “Add to Cart” now! 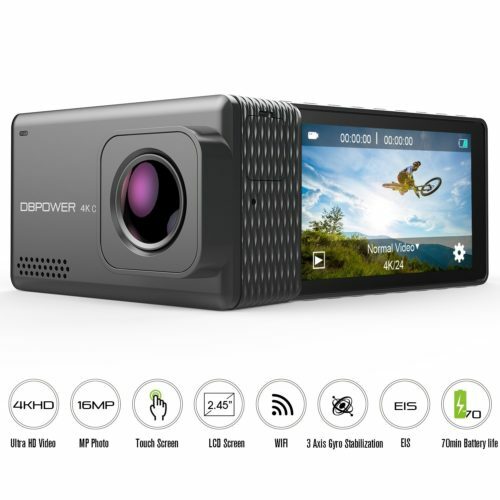 Customized with features including Gyroscope, Distortion Correction (eliminates fisheye effect), Dual Screen, Adjustable Viewing Angle, Low Light Mode, WDR, Rotate, Loop Recording, Burst Mode, 5x Digital Zoom, etc., this N5 Pro sports camera is the best choice for you to capture the perfect shot with no blurs, glitches or artifacts. 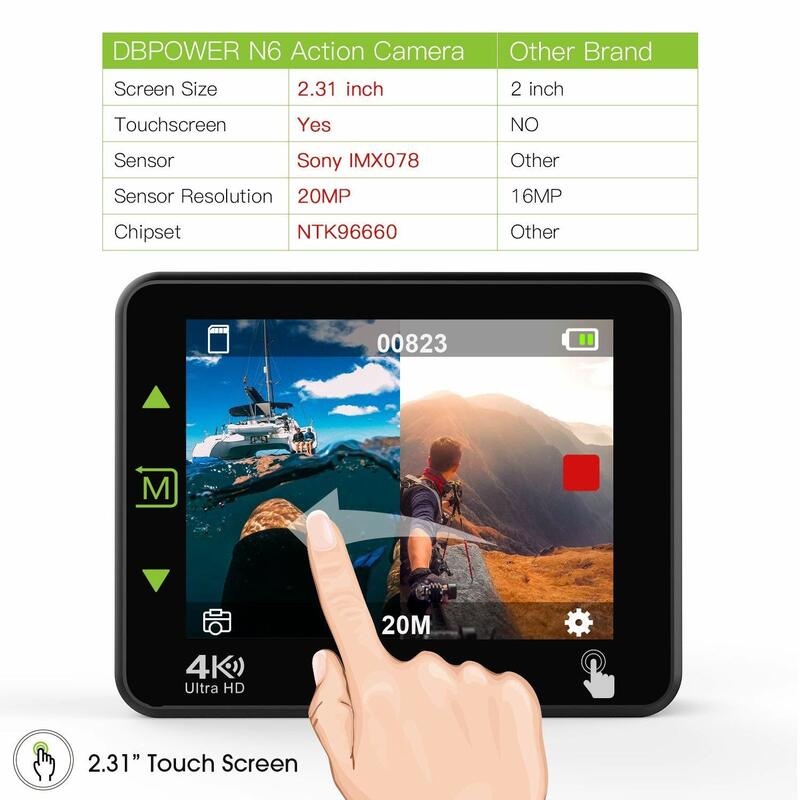 To record epic adventures on land, sea or air the is no longer a future fantasy with your hands free, but rather today’s reality with N5 Pro. 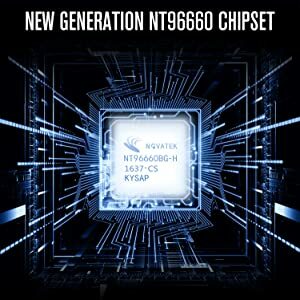 Warm Tips: Recommend to use max 64gb class 10 micro sd card. Please format the card (not included) in the camera before using. 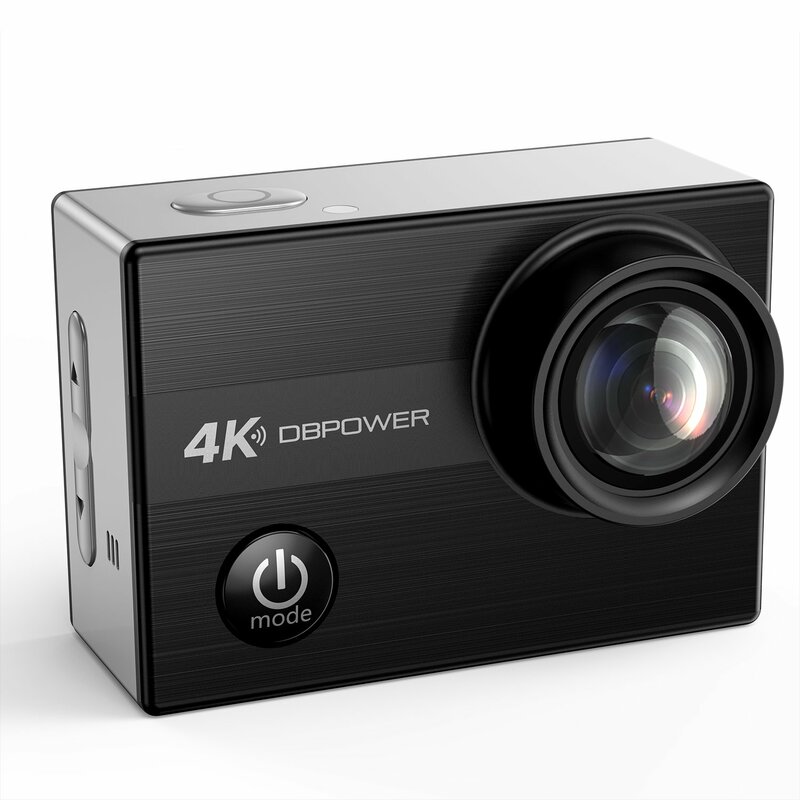 With new generation NOVATEK chip optimized for better image quality, NDBPOWER N5 Pro action camera takes videos at 4k 24fps and stills up to 20MP in unbelievably sharp, crisp images, richer, more true-to-life colors, and far greater detail in both dark and bright scenes. 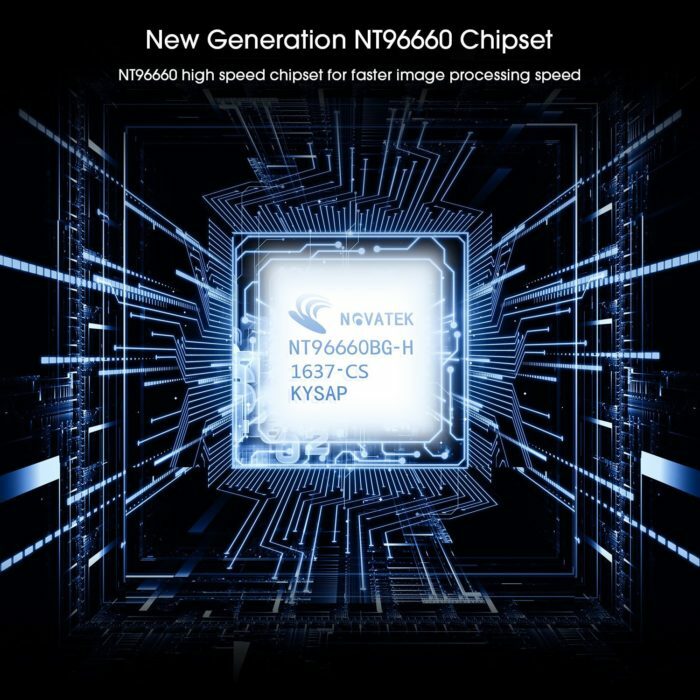 While enjoying a range of video quality improvements such as processing efficiency and scaling, dynamic contrast enhancement, color correction and more, users can also get the most of the footage. The 170 degree ultra-wide angle lens in addition to Low Light Mode and Wide Dynamic Range can help capture crisp and bright videos and images even in low light conditions. Unexpected combinations of light and shadow will be presented in your images to bring you an extraordinary viewing experience. 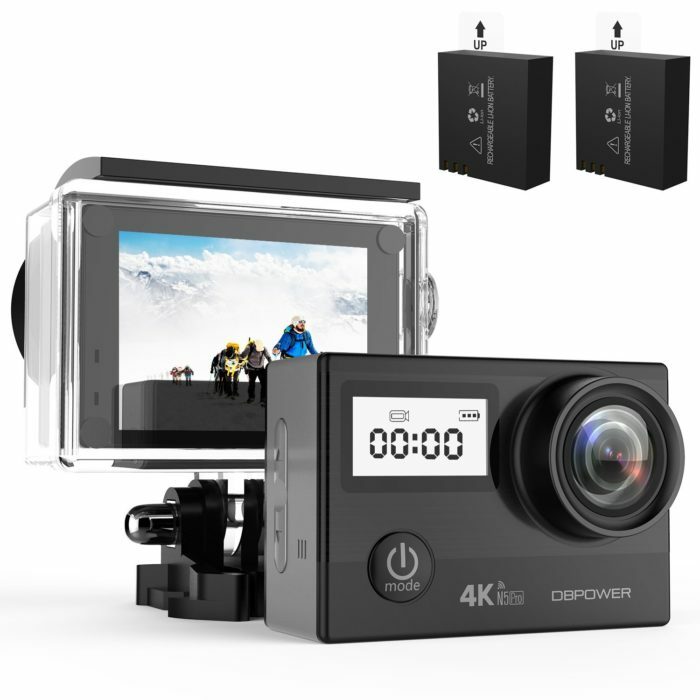 Packed with the integrated Gyroscope and Anti-shaking features for both footage and stills, this action camera keeps images sharp by adjusting the internal image sensor to compensate for camera movement, even in low-light conditions when shutter speeds are slower. In addition to distortion correction setting, fisheye effect will be corrected to present you a more natural image. 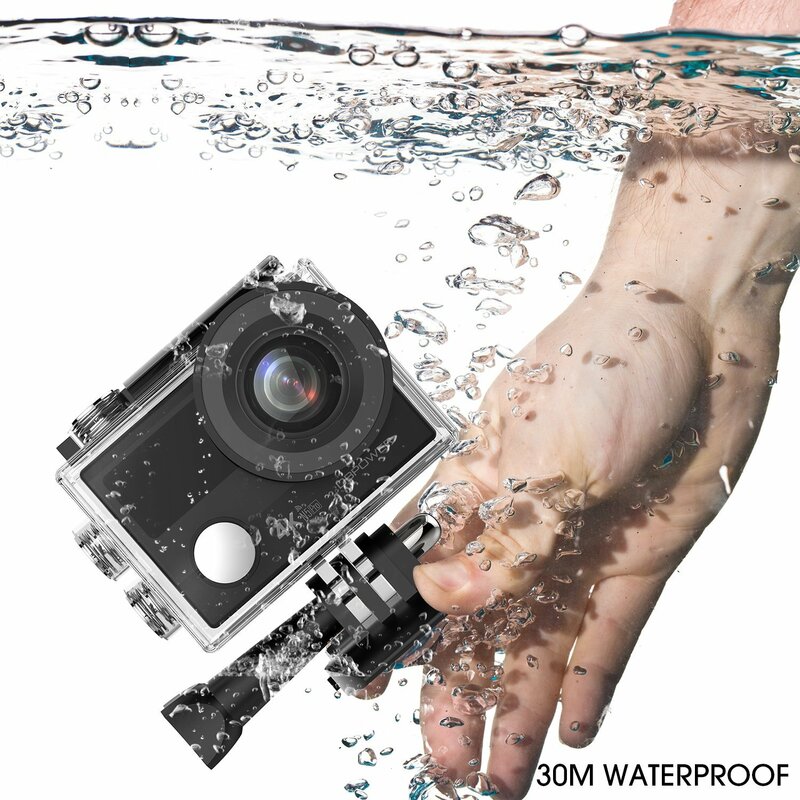 Different from normal action camera, N5 pro comes equipped with a 0.95″ front status screen. Real-time status including the mode the camera is in, spare memory of the SD card, remaining battery life, shooting time and WiFi will be displayed at the front screen with little energy consumed. No rotation needed so as to bring you more joy and freedom during adventures. N5 Pro is equipped with built-in WiFi feature, that being said sharing & editing videos and images can be quite simple out of your expectation with the free app (CamKing). 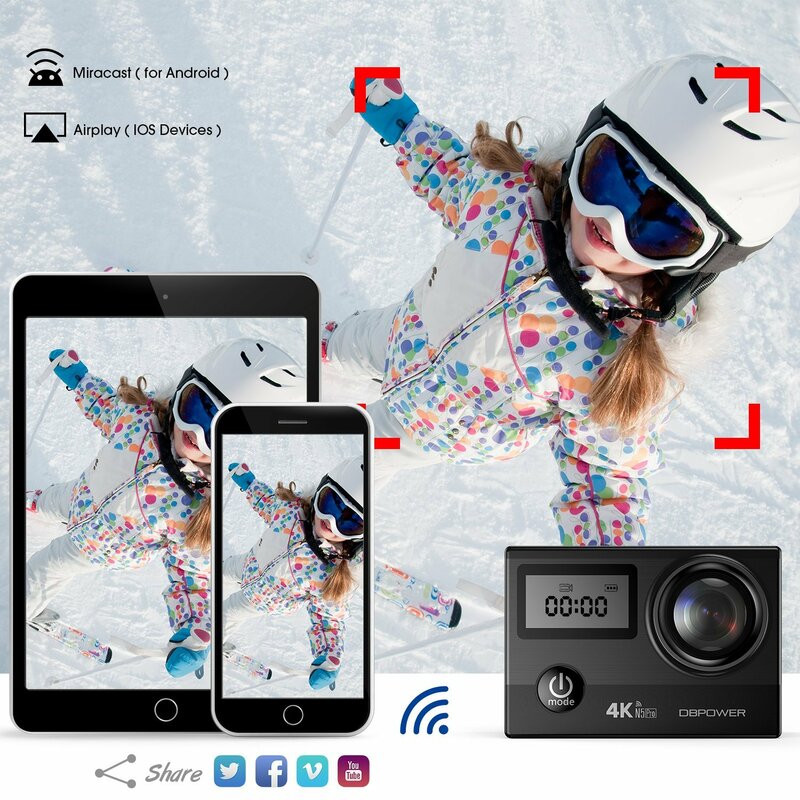 Just download it onto your smartphone or tablet and then get your device connected to this action camera via WiFi, real-time sharing of your breathtaking moments in adventures among your friends could be a breeze right out of box. Question: Usually How long does this battery last？and if it will fit in diving mask helmet? Answer: Each battery can last for about 90 minutes in 1080p. 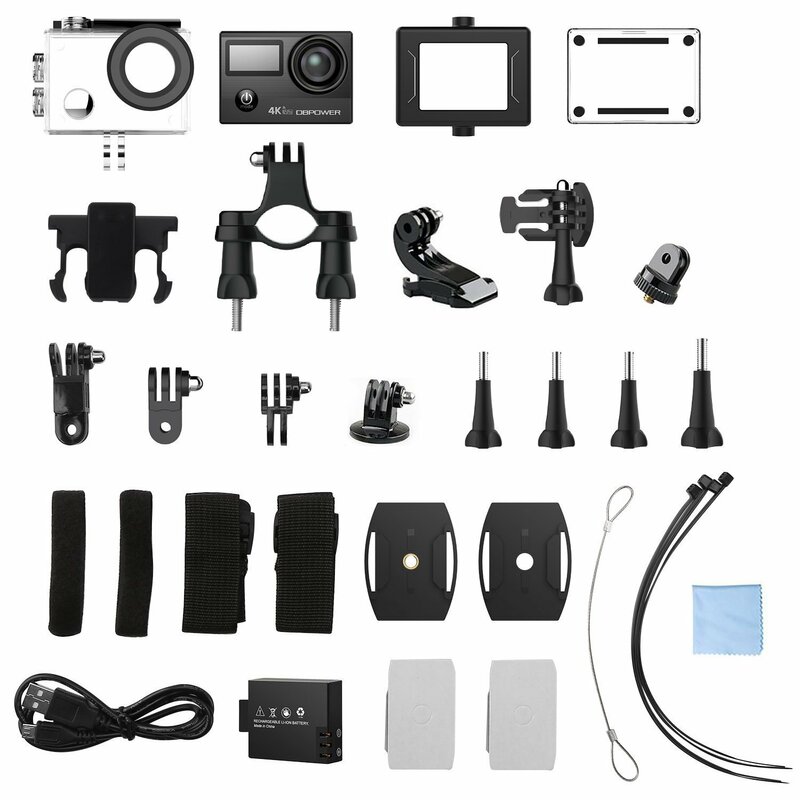 There is no helmet strap included in the package for you to tie your action camera. You can fix the camera with the 3M stickers. Question: How does the N5 compare to the N5 pro, other than second screen and price? 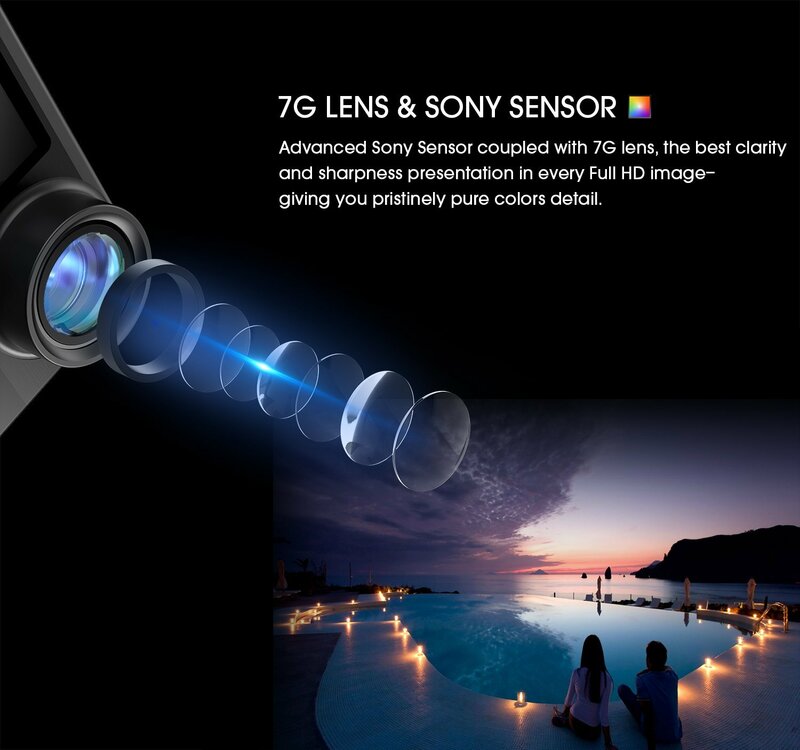 Answer: Apart from the front screen, this N5 Pro action camera is customized with more features including low light mode and distortion correction. 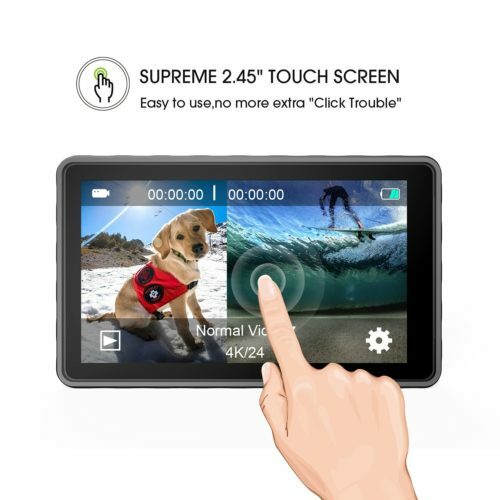 Question: Is this camera touch screen ? Answer: Hi, each battery of this action camera can last for about 90 minutes if you record in 1080p resolution. 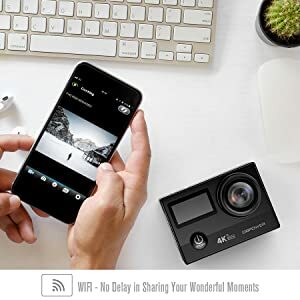 Besides, you can find extra batteries for this action camera by searching on Amazon with keywords “ Battery for action cameras”, they are compatible with this camera. Answer: Yes, please just download the App named Camking to help connect your camera to your phone or tablet. 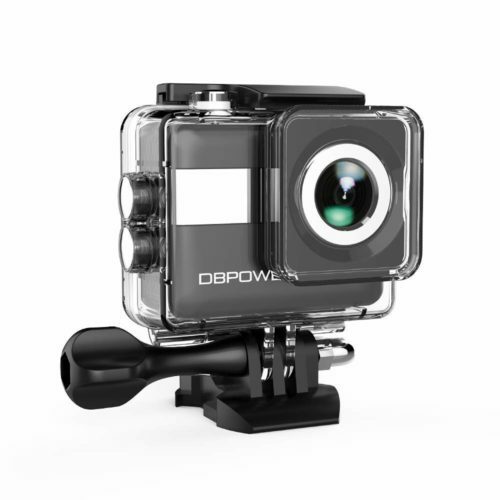 Then you can control your action camera remotely or view the files stored in the SD card. 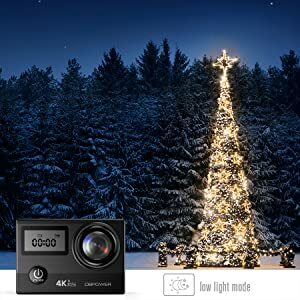 Question: its says that it has an Adjustable Wide Angle Lens .. how much can it be adjusted? 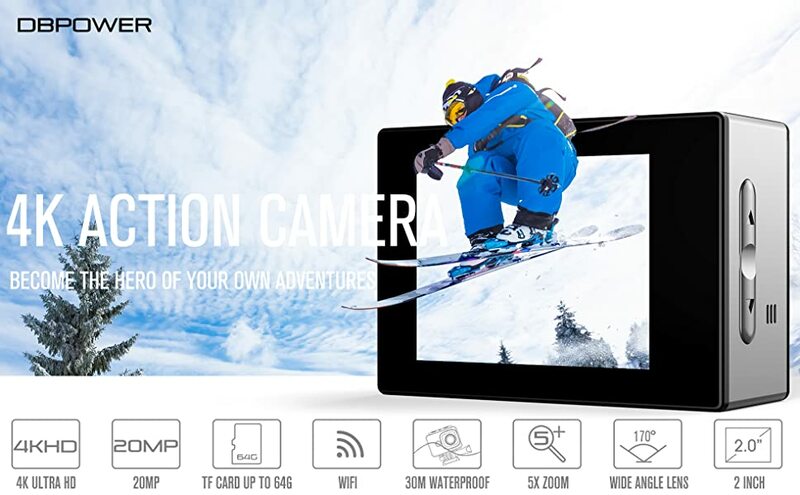 Answer: You can only view the files of your action camera or operate it with the App via WiFi. 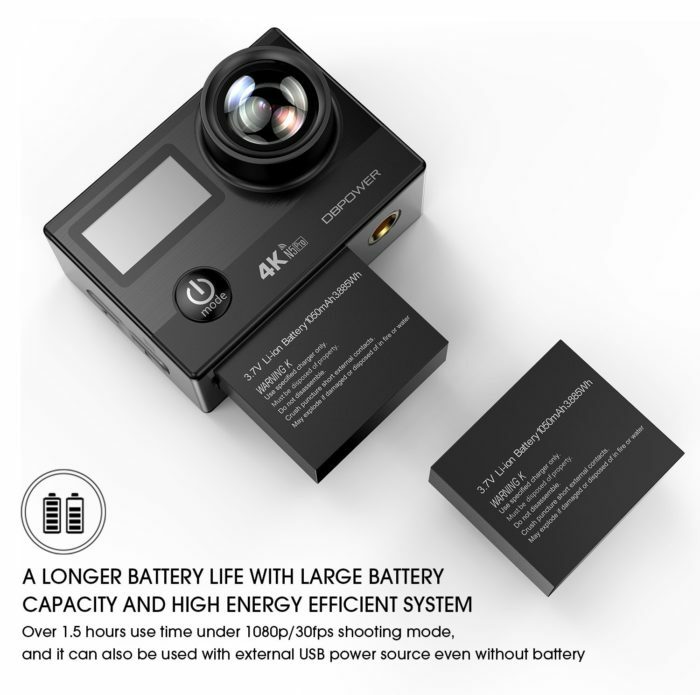 Question: Would this camera work for product photos and showing the details with the zoom? 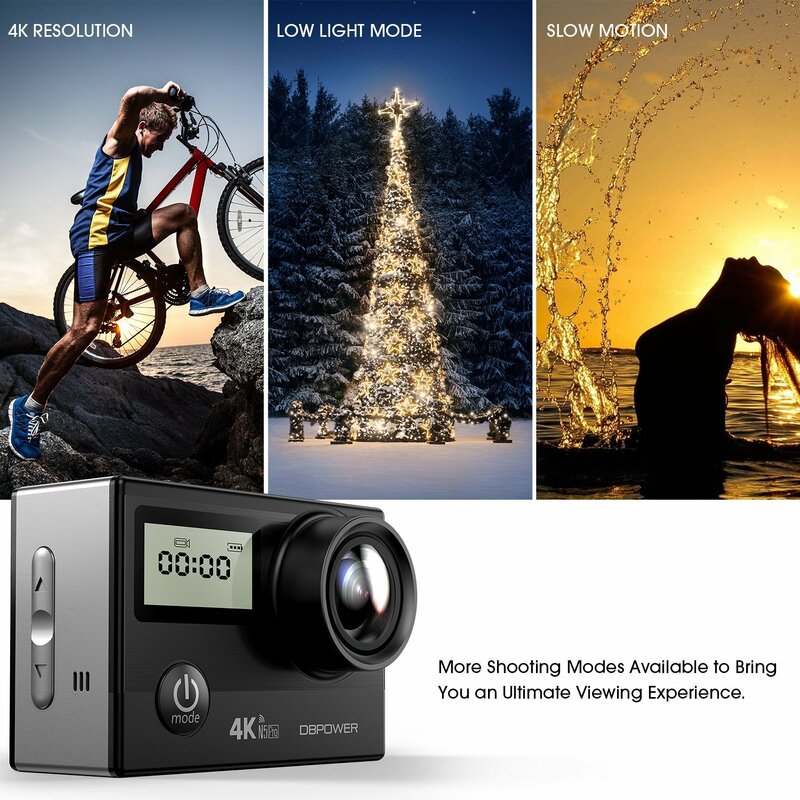 Answer: The max image resolution of this action camera can be 20MP, so it should show the details with the zoom of this resolution. 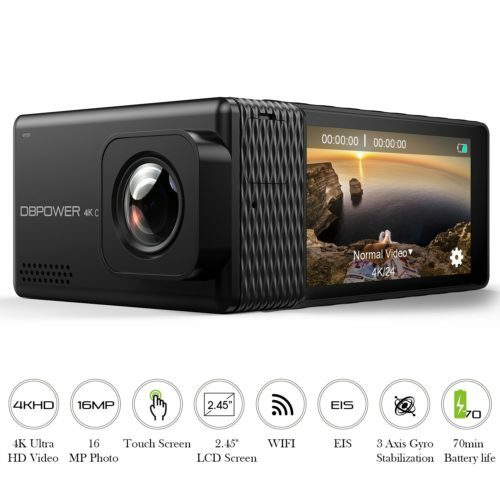 Question: Will this camera accept an external mic? Answer: This action camera does not support external mic. 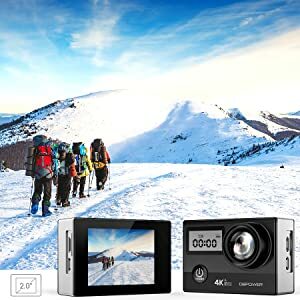 Question: Can this camera be used as regular camera or just for sports? Answer: Without the waterproof case to fix it to different objects, this action camera can also be used as a regular camera. 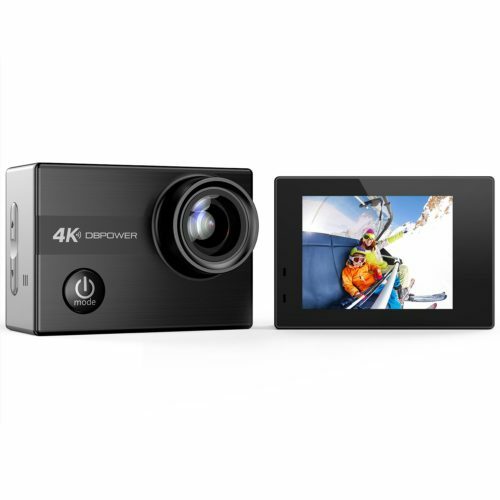 It can take 20mp pictures and 4K videos. Question: There’s no spare battery or charger? Question: How long can it work when it has charged? Answer: Hi there, if the video is taken in 1080p resolution, each battery can last for about 90 minutes after a full charge. Question: Does this have Bluetooth? Answer: This action camera supports WiFi to help you connect it to your Phone or tablet to view the files easily. Question: Does this camera have remote control?